Lynn Ramey of Vanderbilt University has agreed to serve as co-director (along with Noakes and Heng) of GMAP. Her focus will be on the Mappamundi website. 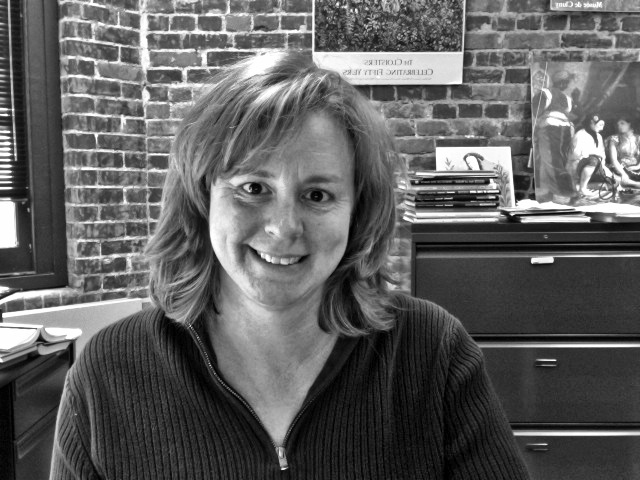 Ramey has been involved in GMAP since 2008, when she began directing the "Discoveries" of the Americas web portal. "GMAP has been in great hands, and I'm excited to be a part of the re-launch of the website," Ramey remarked. "We have more and more digital projects, and I'm delighted to be able to help out." Her background in computer science along with her work on interactions between cultures in the Middle Ages will be an asset to GMAP.